Is resisting arrest a felony in California? Although resisting arrest is usually charged as a misdemeanor, you can be charged with felony resisting arrest in California based on several factors. For example, if you attempt to remove a firearm from the arresting officer, or if you commit a battery offense on the officer during your arrest, you may be charged with felony resisting arrest, and the punishment for felony resisting arrest is quite severe. Thus, you must speak to a resisting arrest defense attorney at Wallin & Klarich to assist you immediately. Can I face additional charges other than resisting arrest? Yes. If you used physical force to resist, delay or obstruct the duties of an officer or EMT, you can be charged with both resisting arrest (CA 148 PC) and battery on a police officer (CA PC 243(1) and (2)). Even if you did not use physical force, the prosecution can charge you with assault (CA PC 240) or with threatening a police officer in order to deter him from executing his duties under California Penal Code Section 69 PC. Because the punishment for these offenses can be severe, it is important to hire an experienced resisting arrest defense attorney who will fight to have these charges dismissed. Does resisting arrest have to be a physical action? A verbal action may also count as resisting arrest in California. No. The prosecution is required to prove that you resisted, delayed or obstructed the officer in the performance of his or her duties. Although physical acts such as running away or attacking the officer are common examples of resisting arrest, verbal acts can also qualify as long as they hindered the officer in the performance of his or her duties. Examples of verbal acts that can constitute resisting arrest include: failing to verbally acknowledge an officer’s order, providing false or misleading identification, and refusing to identity yourself during the booking process. Can I be convicted of resisting arrest even if the arrest itself was illegal? No. If the arrest or detention was unlawful, you cannot be convicted of this offense. In order to make a lawful arrest, the officer must have an arrest warrant or probable cause to believe that you were engaged in criminal activity. If the officer lacked either of these two pre-requisites to a lawful arrest, the arrest will be deemed illegal. In addition, the officer must use reasonable force when attempting to make the arrest. If the office used excessive or unreasonable force when he or she took you into custody, the arrest is unlawful and you cannot be convicted of resisting arrest. If you believe your arrest was unlawful, you must contact an experienced defense attorney at Wallin & Klarich to provide you with our professional guidance. What is the difference between PC 148 and PC 69? California Penal Code Section 69 makes is illegal to prevent an executive officer from performing his or her duties by any means of threat or violence. This section is broader than PC 148 in that it applies to all executive officers, or in other words, any employee of the government who is responsible for enforcing the law. If you are convicted of this offense you face up to a year in county jail and a maximum $10,000 fine. Can I be charged with resisting arrest for shouting at or being rude to an officer? Generally no. Courts have held that merely criticizing, swearing at, or voicing your opinion to the police does not rise to the level of conduct necessary to convict you of resisting arrest. However, a disgruntled police officer may embellish the severity of your actions as a means to punish your rude or dismissive behavior. An experienced defense lawyer can argue that your actions, although rude or abrasive, were perfectly legal and not sufficient to resist, obstruct or delay the officer in the performance of his or her duties. If I have been charged with resisting arrest in California, who should I call? Let Wallin & Klarich protect your future. Call our offices today. 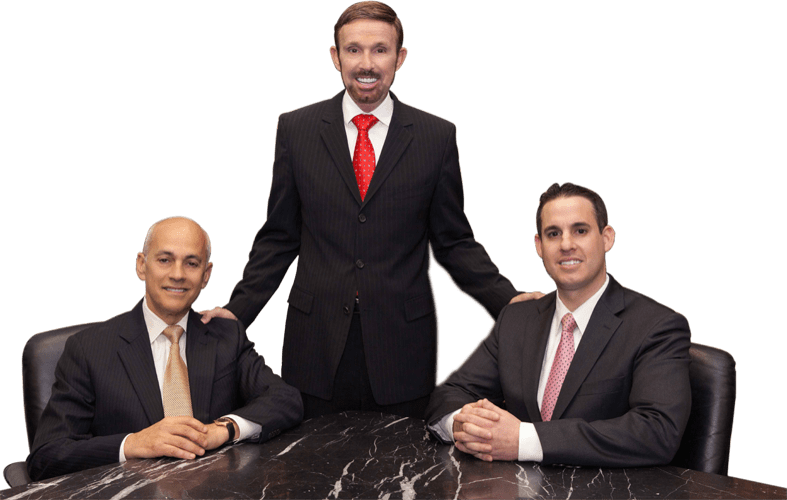 Drawing from our extensive years of experience, our team of defense attorneys is available to answer any questions you have and are willing to go the extra mile in your defense. With offices in Orange County, Los Angeles, Riverside, San Bernardino, San Diego, Ventura, Victorville and West Covina, Wallin & Klarich has over 30 years of experience in successfully representing Southern California residents who have been charged with resisting arrest. If you are facing prosecution for resisting arrest, call our talented and professional defense attorneys today at 877-4-NO-JAIL. We will get through this together.